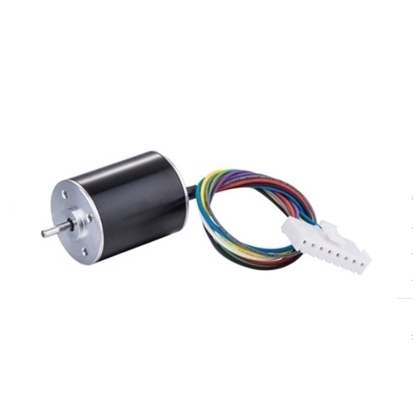 A brushless DC (BLDC) motor is highly reliable since it does not have any brushes to wear out and replace, brushless design for high speeds, long life and high power density. ATO has a wide selection of low cost brushless DC motors including high torque and high RPM motors to meet your specific needs. They come in different size to provide the right torque and speed for your application. Our BLDC motors with power range from 200W to 15KW, and the rated voltage with 24V/48V/72V for your selection, provides smooth, efficient operation at various speed ranges. These high performance brushless DC motors are ideal for medical, automation, packaging and so on. 24V supply voltage brushless DC motor, 86 mm square flange size, making it easy to install. 200W rated power, peak torque to 1.91 Nm, low speed BLDC motor, available with Hall sensors or with Hall sensors and integrated encoder. 110mm square flange size brushless dc motor with 2000 rpm low speed and 2Nm hold torque, 400W rated power works on 24V/48V/72V supply voltage, 2000 rpm rated speed, IP65 rating with shaft seal, can be subjected to moist or humid Environments. 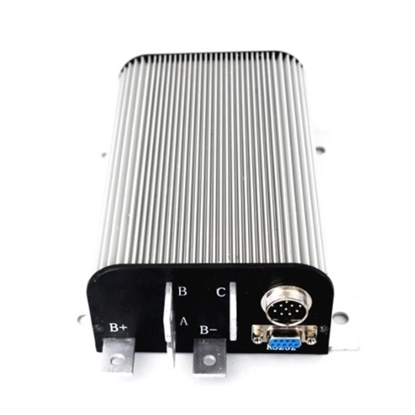 500W BLDC motor, brushless design for long life, works on 24V/48V and providing 2400rpm output. IP65 rated which meet the splash-proof requirements for most applications. 3000 rpm high power brushless DC motor with a rated power of 1.5 kW (2 hp) and rated voltage of 36V/48V, rated torque is 4.78 Nm, particularly suited for applications requiring high efficiency. 2.5 hp (1.9 kW) brushless DC motor with 48V/72V/96V supply voltage, 3000 rpm, 6Nm holding torque, it provides high performance, super power and brilliant efficiency. Brushless design for long periods of operation with best price. High torque brushless DC motor, peak torque to 30 Nm, 2 kW rating power BLDC motor, available 24V/48V/72/96V supply voltage, provides smooth, efficient operation at 2000rpm to 2400rpm speed ranges. 3 hp (2.3 kW) brushless DC motor with a rated speed of 3000 rpm and a rated voltage of 24V/48V/72V/96V, 130mm flange size, IP 65 rating with shaft seal, brushless design for long periods of operation with best price. 2000 rpm high torque brushless DC motor, rated power of 2.5 kW and rated voltage of 48V/72V/96V DC, rated torque is 12Nm, peak torque to 30 Nm, Hall signals for velocity feedback. Compact size and high power density BLDC motor, manufacturer direct sale. High efficiency 4 hp (3 kW) 48V/72V/96V brushless dc motor with 3000 rpm rated speed and 10 Nm holding torque, max speed up to 3600 rpm, peak torque up to 30 Nm, come in a compact size with 130mm flange size, is cost effective solutions to many velocity control applications. High speed brushless DC motor with 3000 rpm rated speed, 5 hp (3.8kW) rating power. Brushless DC motors come in a compact size with 180mm flange size, 48V/72V/96V is available and is cost effective solutions to many velocity control applications. 16Nm high torque brushless DC motor with 3000 rpm rated speed, 5kW rating power, sealed up in a compact design box with 180mm flange size, 48V/72V/96V selectable voltage and cost effective solutions to many velocity control applications. 50Nm high torque brushless DC motor with 10.5kW powerful rating power, 2000 rpm rated speed, 48V/72V/96V available voltage selection, high efficiency and suitable for many velocity control applications. The provided 12V/ 24V ATO BLDC motor has excellent torque characteristics, three phase 4 pole, delivers 5000 rpm high speed dynamic operation, brushless design for a long life, is intended to fill the need for a small motor with high performance. ATO mini brushless DC motor is 4 pole 3 phase, 30W, offers the greatest torque density, 7000 high speed rpm, available in a compact package. It can be custom designed to operate with 12 volt, 24 volt or higher voltage.